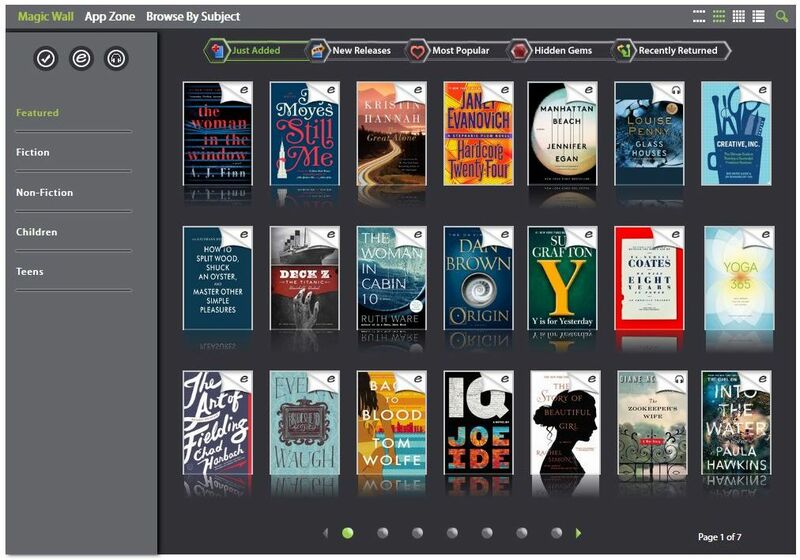 The Hopewell Public Library uses the Axis 360 digital media library to provide patrons with digital access to e-books. Books can remain checked out for 14 days and then will be automatically returned. You can check out and read books both online on a computer (using the website in your browser), and on portable devices with the free Axis 360 app (available for Apple iOS, Android, and Kindle Fire). Tap in the margin to show the left or right arrows and then tap on the title bar at the top of the screen to show the menu, to navigate in the book, set bookmarks, etc. Search on and select the library name: "Hopewell Public Library"